Our daily food choices have an impact not only on our health but also on the climate: By opting for vegetables and legumes instead of meat and industrial food products, we can reduce CO2emissions. This is clearly demonstrated in a study carried out in collaboration with Indaco2 (INDicatori Ambientali e CO2), born as a spin-off of the University of Siena, with the consultancy of Dr. Andrea Pezzana, a nutritionist at the Turin ASL, who has worked on food and health projects with Slow Food for years. We compared an unhealthy weekly diet based on ultra-processed foods and animal protein from factory-farmed meat (i.e. meat with a high environmental impact) and a healthy, climate-friendly diet of fresh whole grains and vegetables cultivated with organic/sustainable practices and, in some cases, Slow Food Presidium products. The objective was to verify whether greater attention to health and the environmental sustainability of food products translates to lower greenhouse gas emissions. Our calculation was based on the food requirements of an adult of 30-40 years of age with a daily calorie requirement of about 2,000 Cal. It is worth noting the quantity of meat proposed in this diet. The average annual meat consumption of a single person in Western countries is about 80 kilograms. This level of consumption is already excessive today, but in 2050, when the planet will have a total population of about 9 billion, it will be literally unsustainable. An adult doesn’t need more than 500 g of meat a week. Reducing meat consumption and eating more legumes and vegetables is beneficial not only for our own health, but also for the health of the planet. Meat– The figure was calculated as the average of the carbon footprints of three Slow Food Presidia meats: beef from Maremmana Cattle from the Menichetti farm, pork from Mora Romagnola Pigs from Zavoli farm, and Alsace Black Chicken from Gilbert Schmitt’s farm in France. It is not necessary to buy the products from these farms to achieve this kind of reduction in emissions: It is enough to opt for meat from local farms that use partly or totally extensive methods and feed their animals solely on grass, hay, legumes and high-quality cereals. Fruit– The figure was based on analysis ofthe heirloom apple varieties grown by Verner Andersen on his biodynamic farm in Denmark. Again, it is enough to opt for fruit from other conscientious producers who limit or avoid the use of chemical products to reduce emissions. Eggs– The figure was recorded at Cascina Santa Brera near S. Giuliano Milanese, an organic farm that raises its hens in the surrounding meadows. Extra virgin olive oil– The figure refers to the oil from the Maestrat Millenary Tree Extra Virgin Olive Oil Presidium in Spain, but there are many other oil producers who are mindful of sustainability. Cheese– The figure represents the average of three Presidia: Belice Valley Vastedda from the Cucchiara farm, Macagn from the Garbaccio farm, and Basilicata Caciocavallo Podolico from Pecorelli. These are all raw milk cheeses from farms that raise their animals in the open for most of the year and are careful to feed them on grass and hay with high-quality cereal supplements. If you look around, it’s easy to find many other small-scale producers like these. The other products considered in the calculation come from organic farmsand short supply chains. 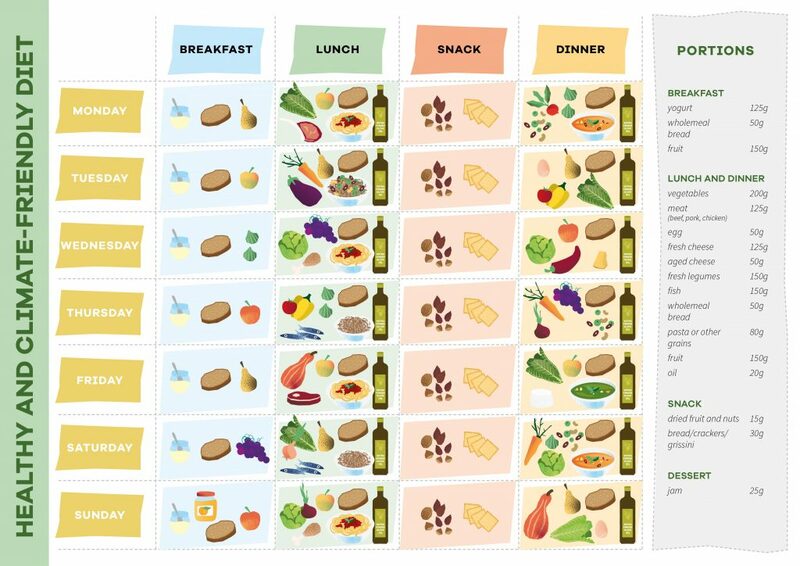 In calculating the carbon footprint of the different diets, we did not take into account aromatic herbs, spices, or seeds, all of which make dishes healthier and tastier. Their contribution to greenhouse gas emissions is negligible, they make dishes healthier and tastier, and they can replace salt, high doses of which (i.e. more than 5 grams a day) are harmful. Unlike the previous example, a weekly diet with a preponderance of industrially produced food and excessive amounts (1.55 kg a week, a European’s current average consumption, triple that recommended by nutritionists) of hyper-intensively farmed meat produces much larger amounts of greenhouse gas. This, obviously, isn’t the only problem: The overconsumption of fresh and cured meats (typical of high-protein, high-fat diets), pre-cooked foods rich in fats, sugary drinks, ice cream, frozen pizzas, snacks, biscuits and cakes, and refined products such as bread and pasta made with refined flour, involves serious health risks. The amount of food in the diet that is unsustainable for the health and the environment is not particularly high but, even when they are not consumed often, the foodstuffs included in this diet—which, alas, is typical for most people—contribute to an accumulation of harmful substances (fats, sugars, additives, etc. ), which, in the long term, cause cardiovascular disease, diabetes, and cancer. Opting for sustainability thus means saving 23 kg CO2eq. every week. Over the course of a year, this means reducing greenhouse gas emissions by a quantity equivalent to the emissions from a car that has travelled more than 3,300 km! 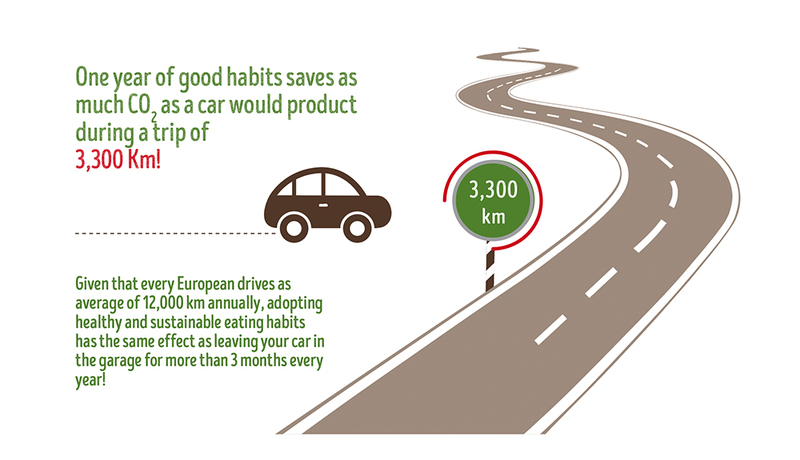 If we consider that, on average, every European travels 12,000 km a year, the regular consumption of healthy foods is equivalent to leaving your car in the garage for more than 3 months! Click here for more information on the carbon footprint analysis of Slow Food Presidia completed by Indaco2. The contents of this publication are the sole responsibility of the author. 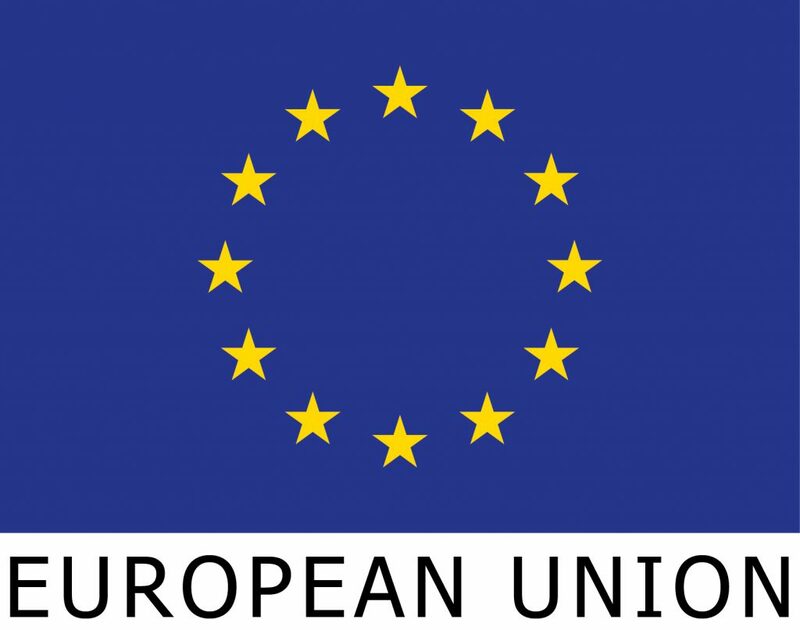 The European Commission is not responsible for any use that may be made of the information contained herein.